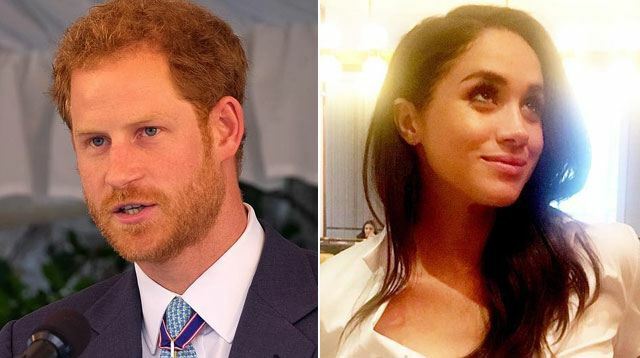 Prince Harry and Meghan Markle's romance is shaping up to be a truly excellent made-for-TV movie. I can't wait to watch what Lifetime does with their love! But first, let's talk about their first official romantic getaway together. According to The Daily Mail, Meghan and her Prince headed up to the Norwegian fjords to experience the northern lights. That is so lovely! I am very jealous! After the holidays, the two flew into Tromso where they enjoyed boating trips on the fjords, whale watching, and, to top it all off, Aurora Borealis. Again, this is a dream vacation. They are basically in the cast of Frozen now. According to a source who talked to The Sun, "Harry wanted to make this first holiday something Meg will never forget. He'd put a lot of thought into it and wanted to make it as romantic and special as possible." Now, let's watch this video of the ~super magical~ northern lights, and pretend we're there with Harry and Meghan; cuddled between them and sipping hot chocolate. How romantic! For all of us!